Yes I know everyone is out scanning the EASA Type Certification Data Sheets to find out what the manufacturers are really up to but so far this year its been very quite however there is an element of ‘what’s this then?’ Firstly those quiet balloon builders Ballon Chaize went up a notch on 24/01/2019 to BA.015 issue 09. Must get in the Déjà vu and go and visit them. I reckon they probably knock off about half two and enjoy a nice bottle of red in a sunny village square (Tuesday-Thursday). The change refers to the addition of a new CS type envelope, CS4000 F24, a 24 gore 4000cu.m. model and a new JZ type, namely a JZ30 F24. Meanwhile stirrings in the gold mine suggest that something is going on with Lindstrand Balloons Ltd (not Technologies) BA.512 going to Issue2. This appears to be the initial issue of EASA.SAS.AS.512 which replaces BA.512 which dates back to 2009 and 1995 before that! 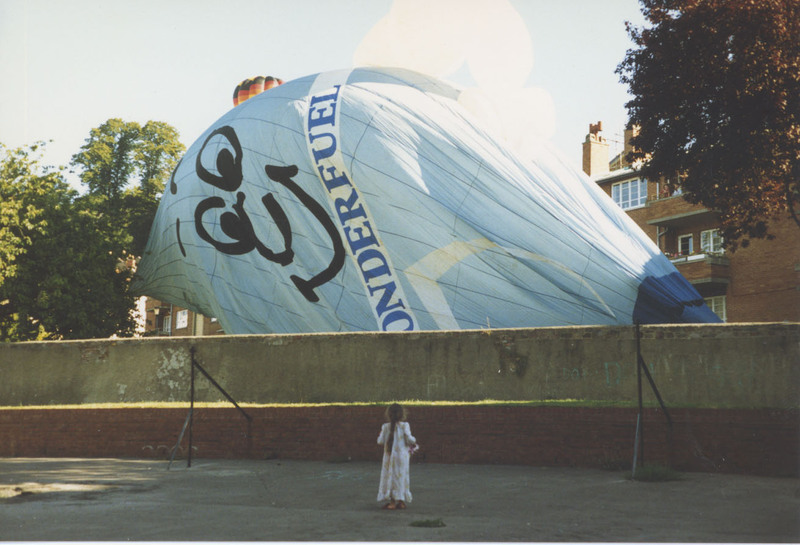 We’ll get our people to write to their people and ask what’s going on but its probably just a tidying up exercise by Cameron Balloons Ltd. Forgot to mention, it refers to Lindstrand Balloons Ltd hot air airships types CS-30 and CS-31HA. What does this all mean? We need to get a life. March 2 2019 marks the 50th anniversary of Concorde’s maiden flight from Toulouse on, the French jobbie on, co-incidentally, 2 March 1969, and then on 9 April 1969 the first British Concorde flew from Filton. To celebrate the anniversaries there are plenty of events being held including Weybridge, Duxford and at the newly opened Filton Museum in Bristol. The Technik Museum Sinsheim, near Heidelberg, home of F-BVFB and Concorde’s rival, the Russian Tupolev Tu-144, which first flew on 31 December 1968, are also planning celebrations. 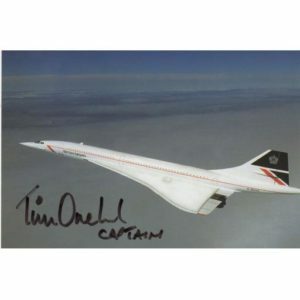 Concorde entered service with British Airways on 26 January 1976 and retired on 26 November 2003. All the British Airways Concordes survived and all but one, G-BOAB at Heathrow, are accessible to the public. Serial number 101, G-AXDN, the first British Concorde is at Duxford and the second British-built, 102 G-BSST, is at RNAS Yeovilton. The other British development aircraft, 202 G-BBDG, which also never saw airline service and was used for spares is at the Brooklands Museum. 204, G-BOAC, is at Manchester and 206 G-BOAA is in The Museum of Flight near Edinburgh. Heathrow 208 G-BOAB is in derelict state parked in the engineering area and awaiting a decision which is in stark contrast to 216, G-BOAF, which has now been saved and takes pride of place inside the new Filton Museum in Bristol, as it should. The other three are all overseas. 210, G-BOAD, is in New York’s Intrepid Museum, 212, G-BOAE, is in Barbados and G-BOAG, 214 is in Seattle. The last bit of Concorde still flying is a Duo Airchair using a pair of Concorde seats we built for Tim Orchard who, with his crew, set the record breaking flight in G-BOAD. It is still the holder of the fastest scheduled passenger flight across the Atlantic achieved on February 7th 1998 in a time of 2 hours 52 minutes 59 seconds. Best we have a Captain Timbo Day then and drink champagne. 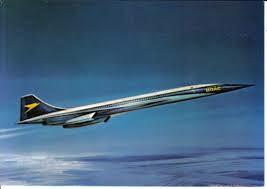 Why BOAC colours? Well British Airways wasn’t formed until 1973. 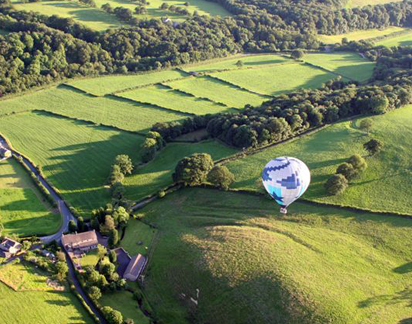 Fancy learning to fly a hot air airship? Well Crispin Williams not only can help with your training but also has an airship you can learn to fly in. He has a Gefa Flug AS 105 hot air airship and is willing to undertake training on it, or on your own airship, if you want to add an airship rating to your PPL. The minimum flying requirement is 5 hours but in practice it is more likely to be 6-7 hours including a GFT and a solo flight. If your old license has lapsed and you want to get back into flying the things then he can help there as well. For more information please contact him at ccrispinw@hotmail.com or on either +44(0)1934863213 or +44(0)7770815258. Never heard of them? Well check out their exciting website. 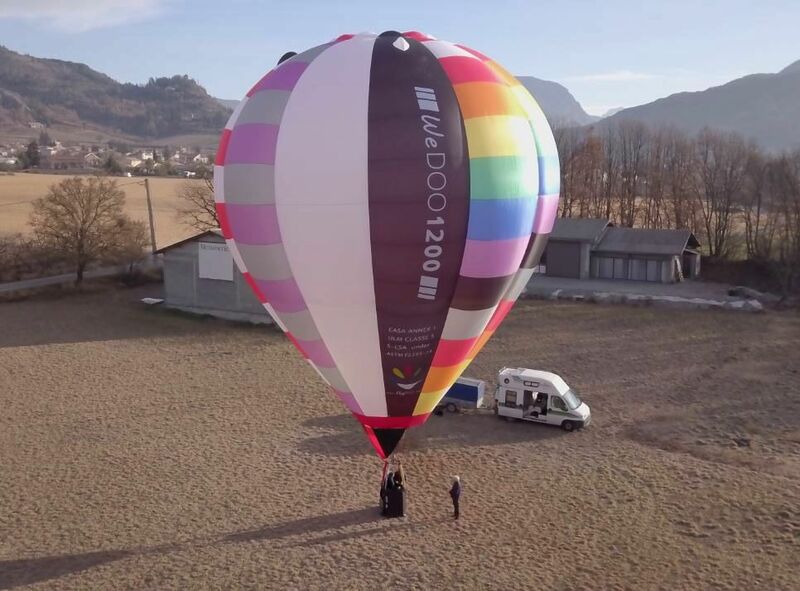 They are building balloons in France under the S-LSA and Annex1 categories, and selling them apparently. We’ll find out more but unfortunately the CAA won’t support them here. Its all very complicated but basically, as far as the CAA are concerned, they would require them to hold an EASA manufacturers’ approval. Flydoo have been producing balloons and associated equipment for a couple of years and are now out pedaling their wares. They were at Mondovi and Chateau d’Oex, where they launched their latest new balloon, so if you missed catching them there then they will be at Vinon sur Verdon Airfield, France on 9th February, Amiens Glisy Airport, France 15th February in the Air Flash ULM hangar, Ãpernay at Plivot Airport (LFSW), France on 16th - 17th February. They will also be attending AERO2019 in Friedrichshafen, Germany, from the 10th-14th April. More dates are to be added, check their website for the latest information. They also welcome visits to their headquarters in Tallard, France, by appointment. Hmmm. More red wine and croissants. They can be found at https://www.flydoo.fun/ but their website seems to take an age to load. On 23 January 2019, Magistrates imposed a £1250 fine and ordered costs of £750 to be paid to the Civil Aviation Authority, following a guilty plea by a pilot to an offence of infringing the RAF Cosford RA(T) on 9 June 2018. The Court heard that the pilot was ferrying an aircraft from the USA to Oxford when he entered the RA(T) at 2000 ft without a clearance. Air Traffic Control established contact with the pilot and advised an immediate turn to the west to exit. The pilot turned onto a south-westerly heading which took him into conflict with a Boeing 757 positioning for a practise display. An AIRPROX was filed due to the proximity of the 2 aircraft in airspace that was segregated for the safe operation of aircraft participating in rehearsals for the RAF Cosford Air Show. In Court, the pilot told the Magistrates that he was using a moving map, in this case SkyDemon, but when he conducted his pre-flight briefing, he was not connected to a wi-fi network. Consequently, the application did not provide airspace updates. He did not check active NOTAM because he was using the application as his sole source of information. His “over-reliance” on SkyDemon and failure to note the offline status of his device meant that he did not have situational awareness (SA) of the airspace into which he was to operate. The CAA actively promotes the use of moving map technology as a mitigation against airspace infringements. Pilots must ensure that they are using the application and device correctly however when planning and executing a flight. Failure to do so without a back-up, such as a carrying out a comprehensive NOTAM brief, use of the AIS Telephone Information Line, checking the relevant AICs and plotting the route on a paper chart, increases the probability of a reduction of SA. You can also have a look at an airmap. Clever things, don’t need batteries. Congratulations to Ollie Surridge who, having checked out with Andy Austin, has just taken delivery of his licence. Watch the skies. Odds on he gets a commercial within a year. Dedicated? Not half. John loves doing baskets. It’s the exercise you see. 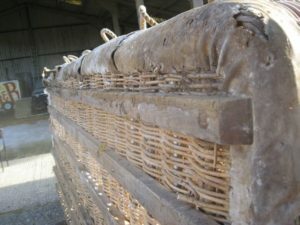 Stripping the things down, washing them, scrubbing the dirt out the nooks and crannies, digging out long lost five pence pieces from the wicker work and hosing them down again. Once dry, brushing them clean and then applying coats of Danish Oil first with the spray gun (which he loves constantly having to unblock) then the all the scrambling in and out. Its good for him. He can’t get enough. Then there is the refitting tidying and attending to the bits and bobs. Once its done he loves nothing more than trundling it backwards and forwards on a trolley. Then he’ll spot a bit of leather that wasn’t buffed enough. That worries him. Niggles his sense of neatness so he’ll re-polish the whole lot again. When they are big baskets and look like they’ve been abandoned for years so much the better. “You can’t beat digging out bits of dead, split and rotted hide, especially if they’ve strung it with strips of hide,” he’ll say. When its all finished he’ll celebrate with a hot sweet tea and a Jaffa cake. ‘Topping out’ he calls it. Dotty used to like re-hiding baskets, especially the hide sweets, the by-product of punching the holes in the soaked hide. She helped John a lot. Polly isn’t interested unless it’s a large bit when she’ll take it up the field and bury it. Me? I keep well out the way matey. It may be a gross understatement to suggest that the industry of commercial ballooning is about to enter an interesting period of time. Since the formalization of commercial AOC and CPL Licensing all those years ago, the current UK passenger and display/advertising flights structure has been allowed to develop, refine and update itself in relative isolation from the rest of the world, to the point that our rules have largely become the model on which many other countries have based their own systems and practices. The industry is now, however, firmly under the scrutinising gaze of both the European aviation authority and our own CAA, with significant changes to our licensing and operating methods due in the very near future. It’s equally vital, therefore, that BABO is seen to be a true representative of the commercial industry, as we will then have a stronger voice when conversations with these bodies take place. Put more simply, if you are a CPL holder, AOC operator, Display or Advertising operation, it’s important that you are a member of the trade organisation created purely for your benefit. Membership fees are £75 for operations that fly less than 1500 pax per year, £100 if you fly more than 1500, and £35 if you are a CPL holder not running an AOC. These fees are recovered alone from the discounted propane costs that members pay, and you can get a Word document application sent to you simply by contacting nic@balnet.com. If you haven’t yet joined or renewed, now is the time to do so! Almost all ground services are now the 8.33kHz assignments and from the 3rd January 2019 all ground services must be using an 8.33kHz assignment, unless specifically exempted. It is now illegal to communicate on an 8.33kHz assignment (frequency) if you are not using an 8.33kHz capable radio. All aircraft must be equipped to meet the legal operational requirements of the flight they are performing, this includes suitable radio equipment. OfCom and the CAA will be checking licences and radios at balloon meets during 2019. The mobile balloon frequency within the UK FIR is now known as 122.480. Sad to hear that the last surviving bit of Monarch Airlines, which collapsed in 2017, has now entered administration. Administrator KPMG said attempts to restructure the Luton-based company, which was taken over in October by Greybull Capital, had failed resulting in the loss of 408 jobs. Monarch Aircraft Engineering Limited (MAEL) was said to be "unsustainable in its present form". 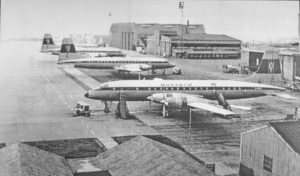 The engineering division was formed in March 1967, a year before Monarch Airlines, establishing its base at Luton Airport and opening its first hangar there in 1968. 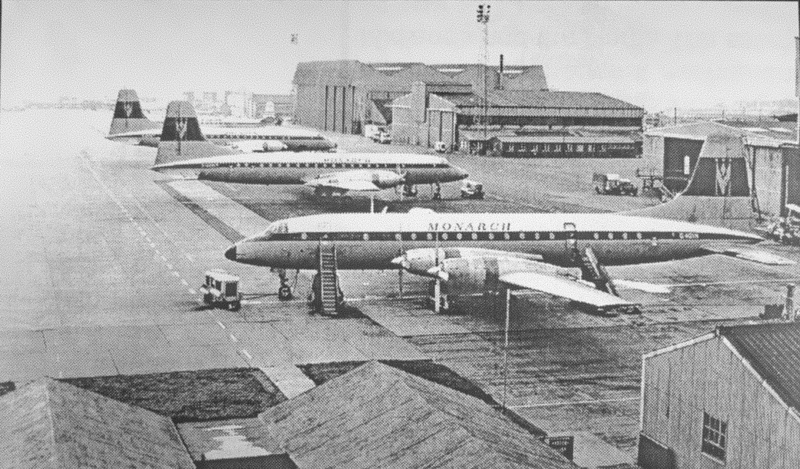 It commenced servicing jets in 1971. Currently it directly employed more than 500 staff across the UK and Europe providing aircraft maintenance services across four main divisions - base maintenance, line maintenance, fleet technical support and a training academy. Since its foundation, MAEL has serviced an estimated 10,000 aircraft, employed over 3,000 people and trained 800 people through its highly reputed apprenticeship scheme. In 2017, when it celebrated 50th anniversary they had line maintenance facilities at Gatwick, Luton, Birmingham, Manchester, Leeds Bradford, Edinburgh, Nice, Malaga, Warsaw and Kiev, all capable of providing line maintenance support of all levels on Airbus, Boeing, Embraer and Bombardier aircraft types. Once again Dave Such has been on the case and managed to get some great deals on DFDS sailings between Dover and Calais, Dover and Dunkirk and Newcstle and Amsterdam, so big ones to him. Bookings for sailings are now open and can be made through the dedicated DFDS/BBAC web page at www.dfdsseaways.co.uk/offers/b-b-a-c. For those members who prefer to book by phone please call the DFDS Customer Contact Centre on 0871 574 7235 or International +44 208 127 8303 by quoting the website offer code EMKPART. You do need to be a BBAC member. If you make regular crossings it could well pay you join! The offer is applicable to standalone vehicles, vehicles towing trailers or caravans and dual purpose vehicles based on a van body, i.e., with additional side windows and seating fitted to the rear. 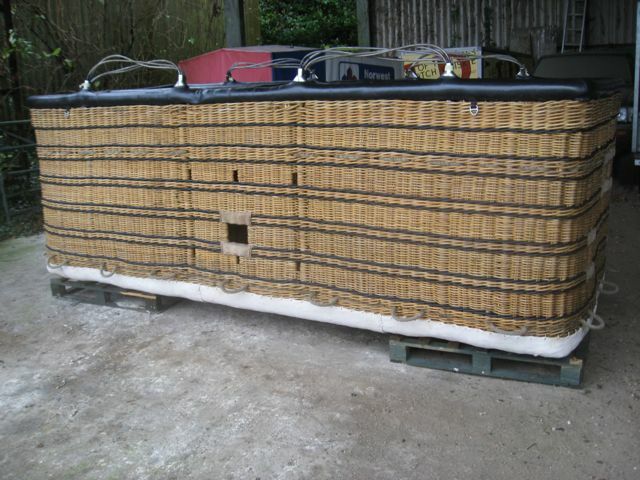 irrespective of whether you are transporting a balloon or travelling on ballooning related business. This offer applies to their routes from Dover to Dunkirk or Calais and also from Newcastle to Amsterdam. DFDS currently have 4 offers for BBAC members to choose from. 15% off Dover-France ferry crossings with prices from £34 each way, Dover-France 3-day return (no caravans or trailers) from £54 return (up to nine passengers, 2 for 1 Newcastle-Amsterdam mini cruise from £43pp return and 10% off Newcastle-Amsterdam ferry crossings from £63pp each way (no balloons) or 50% off for foot passengers. To qualify you must be a member of the BBAC and the BBAc who makes the booking must be traveling in the vehicle. Please note that vehicles carrying hot air balloon equipment on the Newcastle-Amsterdam route will have to be booked as freight. You can find more information about freight shipping and contact details for the Newcastle-Amsterdam route at www.dfds.com/freight-shipping. Please take note of the following important information for passengers travelling with a hot air balloon equipment on DFDS Dover-France routes. Vehicles carrying hot air balloon equipment (for private use) are permitted to carry the following, providing the current BBAC member who made the booking is travelling in the vehicle, or another vehicle, on both the outward and return trips and carrying their membership card, as part of the same trip (DFDS acknowledge that more than one vehicle may be travelling at part of the same group or party). DFDS procedures have always permitted tourist vehicles to carry a maximum of 47 kg (94 litres) of propane/butane in any number of cylinders. DFDS have extended this exemption to tourist vehicles carrying hot air balloon equipment (for private use) and additionally a small canister of class 2.2 non-flammable gas (usually helium), Fire extinguishers for use in the operation of the balloon and new and unused petrol cans. Petrol cans that have previously contained fuel are not permitted. The MCA Marine Guidance Notice (MGN320) exemption states that the shipping operator should be informed by a customer when carrying the above equipment. Therefore it is important that DFDS is informed at the check-in stage then the loading team can inform the vessel so they are aware (in case of an incident onboard). Any problems please drop Dave a note to davesuch@btinternet.com. To join the BBAc go to www.bbac.org. Published in the BBAC Pilots Circular, October 2018, was the following update on matters EASA in relation to the work they are doing on behalf of ballooning. As with everything EASA things are a still a tad ‘what if maybe’ but this is as things appear to stand at the moment. All the following assumes there is a Brexit deal which keeps UK in EASA. If this is not the case, there will be an “emergency” update covering certification, licencing and operations. Note, references below to ‘transition’ or ‘transition period’ refer to the EASA regulation transitions and are nothing to do with any Brexit transition period. There will be several presentations on the subject at the BBAC Members’ Day on 24th March 2019. Updates will continue to be posted via Pilots’ Circular. The UK is opted out of EASA (Part FCL) licencing until April 2020. Balloon specific licencing rules (Part BFCL) have been developed over the last few years and are in final consultation at present. Part BFCL is due to start on 8th April 2020, but it’s still possible this date may slip by 6-12 months due to the processes at the EU Commission for releasing new laws. UK balloon licences issued after 8th April 2020 will not be valid for flying EASA balloons (which means all balloons certified under EASA, i.e. all balloons except “Annex 1” / annex 2 as was). Existing UK balloon licences will remain valid for flying EASA balloons until 8th April 2021. During the one-year licencing transition period, pilots will need to get their EASA licence (the BPL). The BBAC will publish information nearer the time on how to prepare and how to apply for the new licence. We expect the transition arrangements to be similar to the preparations and processes we had ready in 2014-15. The medical standard for the BPL (subject to final adoption of the regulations) will be a Class 2 medical for what we currently call Public Transport and at least the LAPL medical (a lower medical standard, with less frequent checking for older pilots) for all other flying. Any UK medical (GP-based or self-declared) which expires during the transition period must be replaced by an EASA medical, even if the pilot has not yet applied for the BPL. After 8th April 2021, only the EASA medicals (LAPL medical or Class 2 medical) can support the BPL. The current UK training arrangements for the PPL(BA) and CPL(B) will continue until April 2020. Student pilots are strongly advised to plan their training so that they get their UK licence before April 2020 and can then convert to the BPL in 2020-21 in the same way as for all other licensed pilots. Any student pilots who do not complete in the UK system before April 2020 will be able to move to the EASA system in April 2020 on the basis of a “transition report” to be agreed between BBAC and UK CAA. It is very likely that only hours flown as PuT with UK instructors will be able to be counted towards issue of the BPL. The BBAC will run an EASA compliant Training Organisation (DTO) from approximately April 2019, in order to prepare for all training under EASA rules from April 2020. The BBAC DTO will also facilitate students / instructors who wish to receive / provide training within the EASA system (technically Part FCL, but completely credited for Part BFCL) ahead of 8th April 2020. EASA rules for Operations (Part BOP) start in UK on 8th April 2019 and have been published in the Balloon Rule Book (link given below). All pilots and balloon operators need to make themselves aware of the changes and any requirements on them. BBAC is in the process of developing, in conjunction with the CAA, a series of “guidance notes” on key aspects of Part BOP. Information on the new regime for cost-sharing was published in the September 2018 Pilots’ Circular. Information on “special operations” flights and information on changed requirements for equipment and procedures for all flights will be published over the coming months. EASA rules for Operations (Part BOP) start in UK on 8th April 2019 and have been published in the Balloon Rule Book (link given below). All AOC operators will need to transition to the new Declaration-based system by 8th October 2019. Guidance on the transition may be available via BABO. New operators, following Part BOP rules, could start from April 2019. 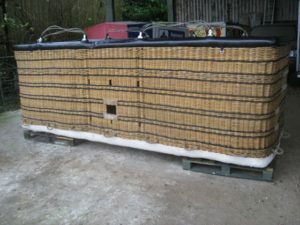 Homebuilt balloons, some balloons from defunct manufacturers and a very few other special cases are not covered by EASA rules and are referred to as “Annex 1” balloons (per the EASA Basic Regulations issued 2018) or “Annex 2” balloons (per the previous EASA Basic Regulations issued 2008). These balloons are governed by national (UK) rules: the UK Air Navigation Order. One change in the new Basic Regulations (2018) allows approved manufacturers to offer non-EASA versions of their small balloons (42,000 cubic feet and below). There are no changes for existing EASA-certified balloons (even sub-42 size) and no mechanism for a given balloon to switch between EASA and national certification systems. Series (factory-built, EASA-certified) balloons continue to need fully approved “bottom end” equipment. There is no mechanism for home builders to build Annex 1 balloons for sale, unless they become EASA certified production organisations. Since there seems to be lack of clarity on some aspects of operation of Annex 1 (Annex 2 as was) balloons, BBAC is collating some guidance material for publication before next Spring. As Vivian once said in The Young Ones when Rick accidentally stuck a pickaxe in his head, “Don’t worry, bound to happen sooner or later,” so it was that a certain Mr Smith turned up with a really poorly burner. Well apparently when they got to where they were going the burner was absent. Retracing their route it was recovered from the verge-side looking particularly out of sorts having been run over a few times. It was, as they say, pretty trollied. Thing is it was, in a former incarnation, a Colt C2 single that thinks a double, one of my favourite little burners. It powers his Duo Airchair so was unlikely to be replaced easily. Always one for a challenge we reckoned we could put it all back together one way or another. We have several boxes of bits for the older burners don’t you know. Now after we had all stopped laughing we recalled a few stories of similar incidents like arriving back at the Royal Show with no basket and burners in the back of the trailer. 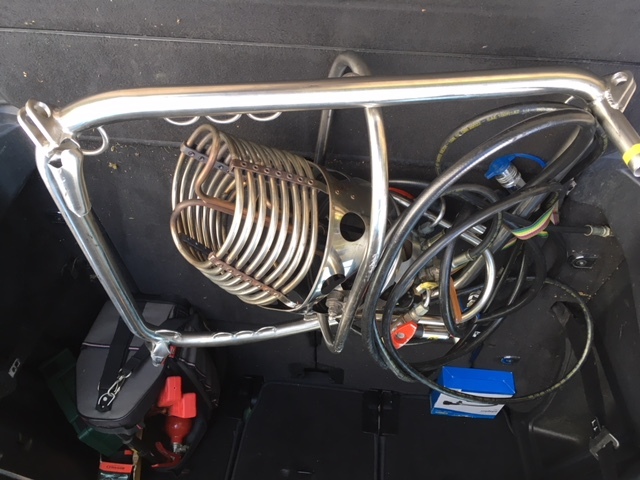 Whilst traveling down the Warwick by-pass the entire rigged basket and burner had come off the back of the trailer. We blamed Abo Allen. Then there was the time the back doors of the Mighty Sherpa came open (common occurrence) and the inflation cylinder fell out on the Oxford Ring Road (blamed British laeyland design for that). We found it alongside a rather shocked motorcyclist who was having a fag to calm his nerves. We took him for breakfast as an apology. Then there was the time we turned up at the Leicester Show and threw the back doors of the old HABCO LT van open to discover no envelope. We have had no few ride balloons in where the burners had been taken through trees and come off badly and one that came in with destroyed burners having gone under the portico of a hotel. It came back three weeks later when they did the same again! Recently the aforementioned Mr Smith called on a progress report and mentioned that since the incident he had been amazed by the number of others who freely admitted, with a smile, “Oh That happened to me”. Did I mention how many fans we have reversed over? 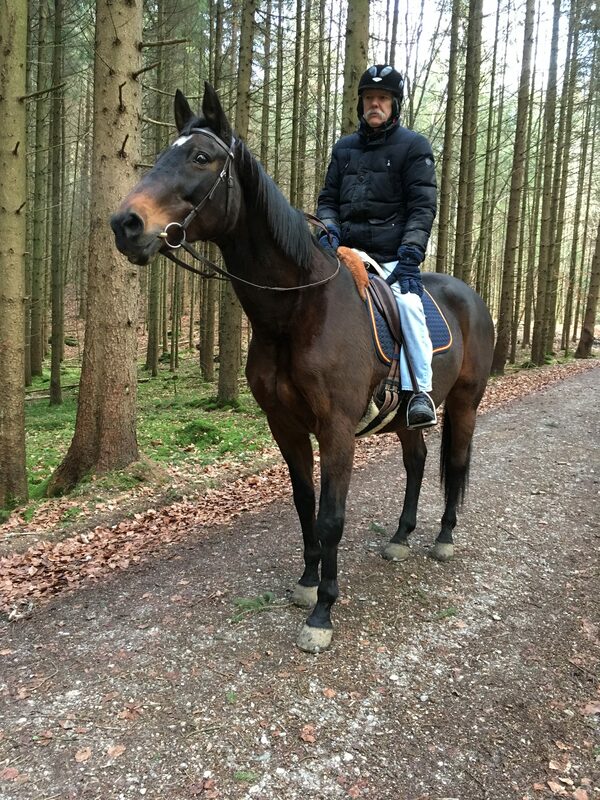 Following on from the mention that we enjoyed a Boxing Day horse ride we got a picture from Steve Burden mounted rather splendidly on his horse and who was also out Christmas riding. His horse is called Nordata, a KWPN Trakehner mare, apparently. She’s a sprightly 24 years old but Steve reckons you still feel like you're sitting on a box of dynamite! The letters before the breed does somewhat show that this is a truly nobby horse. It stands for ‘Koninklijk Warmbloed Paardenstamboek Nederland (Royal Warmblood Studbook of the Netherlands)’. This is the Dutch organisation that registers and governs the breeding of Dutch Warmbloods, the highly competitive showjumpers and dressage horses that are amongst the most successful in the world. Nick Skelton had one called Apollo. The Trakehner bit is the type of horse that was crossed with a registered KWPN stallion. The Trakehner breed itself is also highly regulated and hails from Germany, I believe, and the Lloyds Bank black stallion is one! They were bred as lighter cavalry mounts for the Prussian Army back in the early 17th century. The World’s largest stud was established in Trakehnen, East Prussia in 1732, initially breeding the local heavy horses with Oriental and English thoroughbreds. Despite heavy losses during the First War the breed survived but, ironically, it was nearly wiped out at the end of WW2. The story of their survival is both harrowing and remarkable and they were involved in what became known as the ‘Trek’, when the East Prussians fled the advancing Soviets who, despite attempts by the Trakehnen Stud to move them, had already taken over 800 of the breeding stock, including the contents of the Stud, to Russia. Records and exact details of the The ‘Trek’ are hard to research, as is the plight of most refugees fleeing war zones, but it began in the bitter winter of 1944/45 when tens of thousands of Prussian refugees, along with some 18,000 East Prussian horses, bundled their most precious belongings in wagons and began walking and driving westbound. For many, that included crossing over the barely frozen so-called “Frisches Haff” (Vistula Lagoon), now in Russian Kaliningrad Oblast. Under attack from Russian aircraft the crossing was mainly attempted in the dark but even so many lives and horses were lost as they were bombed, tried to avoid attack or fell through the ice. Many thousands of East Prussians did eventually made it to the West but at a terrible cost. Private owners of the pure bred Trakehners decided that they must save their horses so they rounded up another 800 or so and joined the ‘Trek’ taking everything with them including food for the horses but were prevented from leaving until January 1945. Unable to stop for fear of being killed by the Red Army, when mares lost their foals or horses went lame or became ill they were left. Their feed ran out and the horses had to live on what they could scavenge along the way. Many of the Trakehners were also lost crossing the Frisches Haff. The Trek lasted two and a half months and covered 600 miles. Of the 800 horses they set out with only a 100 made it. Eventually around 200 Trakehners managed to reach West Germany. By the end of WW2, Trakehnen was no more, laid to waste and re-named Yasnaya Polyana now on Russian soil, and only 21 of the original main stud mares survived. 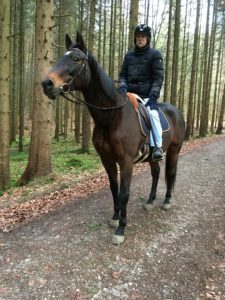 With the formation of what is now known as ‘Trakehner Verband’, in 1947 the long process of finding and identifying the remaining Trakehner horses, which were spread throughout Germany, and re-establishing the line began. Although Trakehnen is now in what is the only bit of the true Stalinist Russia left and the Stud abandoned, there is a museum there dedicated to the breed. So, back to Steve’s lovely mare, Nordata. We have found out that she is a proper Dutch warmblood horse, registered as ‘donkerbruin’ in colour and is, according to the KWPN, ‘by T.C.N.Partout out of Rex Magna’ but as Rex Magna is a bloke it should be ‘by Rex Magna out of T.C.N.Partout’. We'll drop them a line. Of course, Steve knows all that but we reckon that was all a bit interesting. The first Timbo Day is confirmed as 7 February from midday in the workshop. Bring warm cloths, champagne or trendy fizzy stuff. Probably send out for Atlantic cod and chips. Wear a pointy hat and make supersonic noises which we will hear later. No real plan but walking about three if we can still stand.